A job match is not necessarily a job fit. 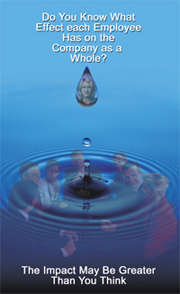 Will the employee fit into the corporate culture? Is the personality one that will enhance the department, or round out the team? Will the attributes they bring be those the job needs? "It's not experience that counts -- or college degrees or other accepted factors; success hinges on a fit with the job." Harvard Business Review Research suggests that well-placed, well-trained employees are as much as 400% more effective in their jobs. They function better, both individually and in teams, and can add significantly to a healthy bottom line. You can be absolutely sure that your employees are well-placed with the CORE Multidimensional Awareness Profile® (CORE MAP). CORE is unlike any profile you have ever experienced! CORE MAP is the only truly multidimensional profile on the market today. It is the only profiling instrument available that looks at an individual's self perception, compares it to their current functioning mode, and examines their Personal Effectiveness Traits™. Other instruments look at only one aspect of an individual. These single dimensional profiles are difficult to measure for accuracy because they provide no reliable means for comparison. Single dimensional profiles are easily skewed when an applicant knows what qualities a company is seeking for a position. With CORE MAP, attempts to skew the results to fit job requirements are immediately revealed. Without accurate reporting people are often placed in the wrong job position resulting in unhappy employees, poor performance, hindered team efforts, and ultimately, a negative effect on the bottom line. Research indicates that 54% of the general population do not know themselves well enough to profile accurately. There are many personality profiles on the market, but none can match the level of accuracy and reliability that the CORE MAP offers. Unless you are currently using CORE MAP, your odds of getting an accurate result through profiling are less than one in two. With the high cost of hiring and training, can you afford those odds? You don't have to wade through voluminous reports to get the information you need with CORE MAP. And because CORE MAP provides more measures to ensure accuracy, individuals who profile incongruently are easily identified and properly directed for maximum effectiveness. 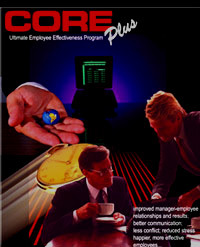 CORE is your KEY to maximizing your human resources! CORE MAP ensures that each employee has what it takes to be personally effective and a top performer. Where to place each employee to maximize potential. CORE MAP is clearly the superior choice. And to ensure that your employees are well-trained, check out CORE PLUS! The CORE System is much more than a personality profile. Our no-risk guarantee insures your complete satisfaction. If not completely delighted with the training and the results you don't pay one cent. We have offered this guarantee since 1984 and haven't lost a penny yet! For more information about CORE Presenters and workshops, complete a Request Form. In today's changeable and sometimes volatile job market, companies are looking for ways to maximize the potential of their employees, while employees are actively seeking companies that best fit their style. CORE MAP ensures that both achieve their goals.